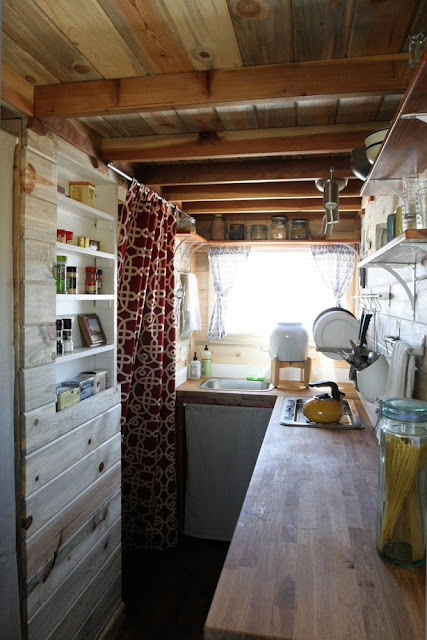 In a quest to make a home of their own, a couple from Colorado decided to build themselves a tiny house. 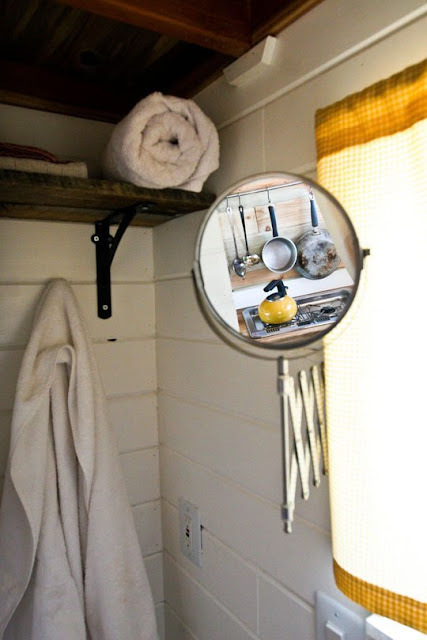 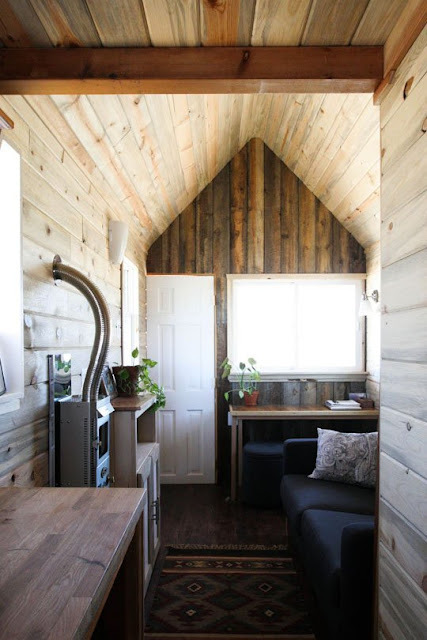 A filmmaker and graphic designer by trade, with no building experience, the couple set out through salvage yards, thrift stores, IKEA and hardware stores to make their home. 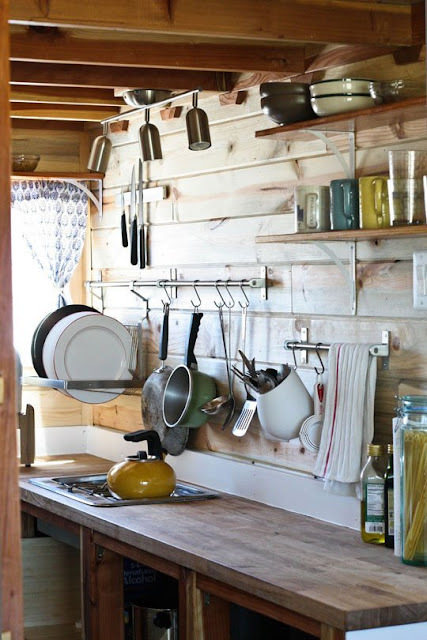 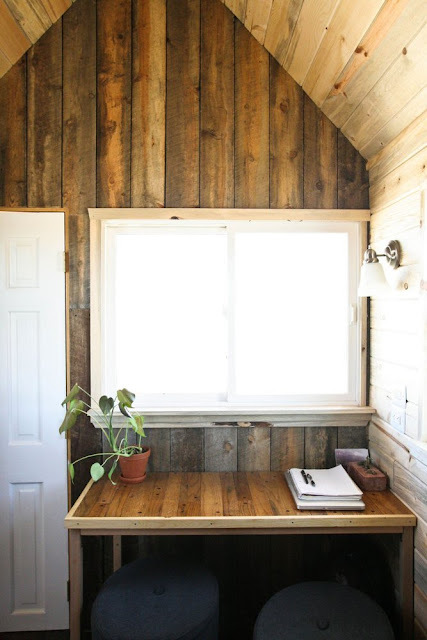 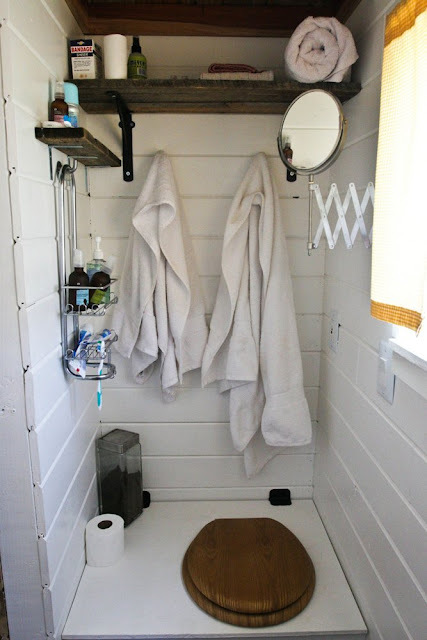 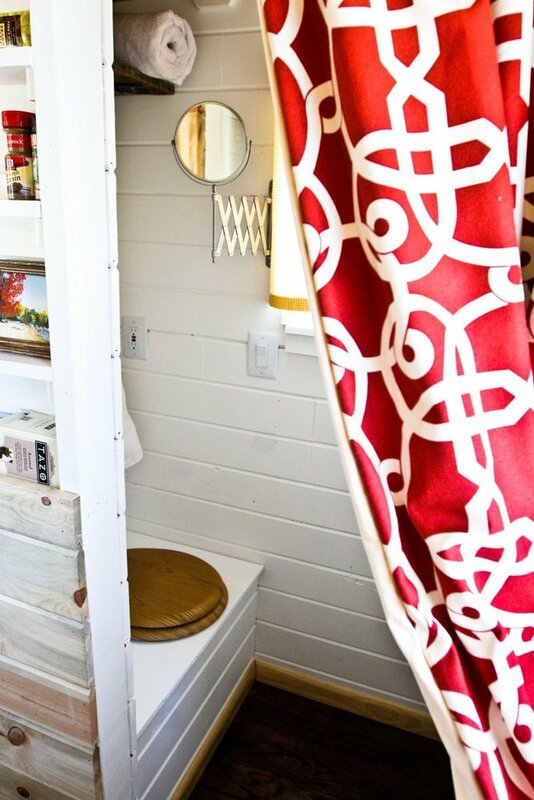 The result was a 127-square-feet rustic tiny house on wheels. 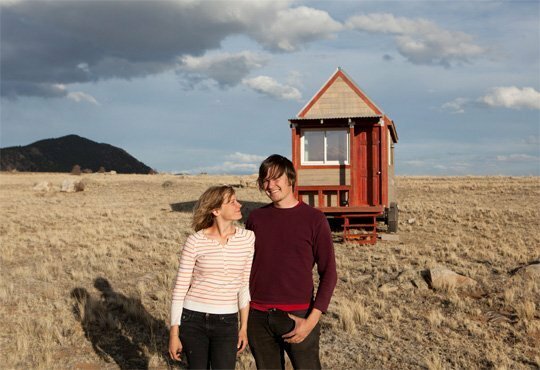 The couple has lived in the house for almost four years now and even made a film about their experiences called Tiny (trailer below). 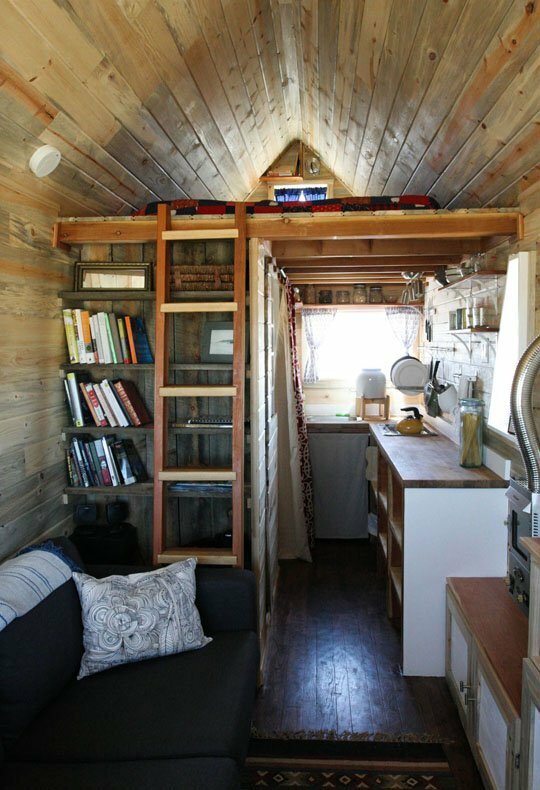 Check out their home's cozy interior.